Young Living’s Stress Away oil blend is a natural solution created to combat normal stresses that creep into everyday life. Stress Away is the first product to contain the unique stress-relieving combination of lime and vanilla pure, therapeutic-grade essential oils. the exotic scent of ocotea, Young Living’s exclusive Ecuador single. Ocotea essential oil is derived from the tall ocotea tree and has a long history of traditional uses in Amazonia. Copaiba is the only essential oil extracted through tapping, similar to how maple and rubber are gathered. The vanilla in Stress Away does not contain water, unlike most vanilla oil sold on the market today. 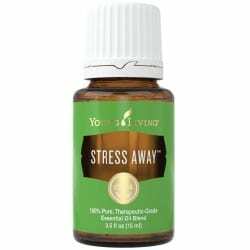 Stress Away was named by Young Living distributors.